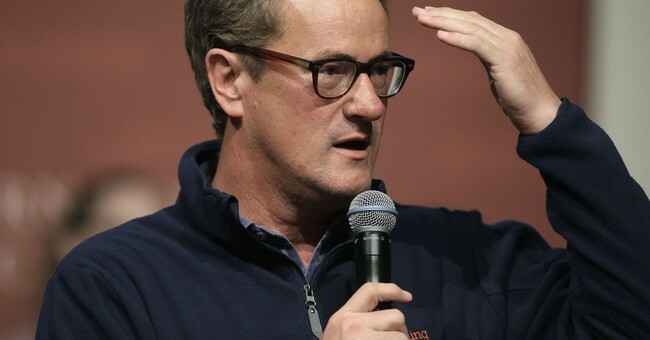 “Joe Scarborough is a disgrace. He throws wild accusations in an effort to please his liberal anti-gun bosses and destroy all of you—all of us,” he added. I have spent the past several days quoting Ronald Reagan and Justice Scalia on guns. The constitution is on my side, the facts are on my side and history is on my side. All you do to defend your indefensible position is spread lies, hate and fear. NRA ads over the past year have incited their members to violence. I fear that their continued campaigns of hate will end up getting someone killed. I will not re-posted here because I do not want to RT vile content. “You are so scared of me,” he wrote. The former Florida congressman then took the time to elaborate on his beliefs regarding gun control, which seem a far cry from the kind of rampant shredding of the constitution that Stinchfield has accused him of. Yeah, it’s a hard-hitting ad. Scarborough did say he supports the Second Amendment and carry laws, which is good, but his advocacy for stronger background checks and “regulating assault-style weapons” is where he goes off the rails. First of all, we have enough background checks. We have enough laws on that front. Every purchase from a licensed firearms dealer requires a background check, only criminals buy guns out of the trunk of a car. Yes, criminals don’t abide by the law, but we’re talking about law-abiding gun owners. That’s already a law on the books, though anti-gun liberals would have you think that firearms purchases as lax as buying groceries. What’s becoming clear is that the people in charge of handling these checks are not on their game. The FBI had a tip on the Florida shooter on January 5 and did nothing. No referrals were made. It wasn’t even followed up on. FBI Director Chris Wray had to admit that last week. In Texas, the church shooter in Sutherland Springs, Devin Patrick Kelley, should have been barred from buying firearms. In 2012, he was convicted of domestic abuse and served a year in jail. This was when he was in the Air Force, who never informed the FBI of his criminal conviction, a critical detail for the National Instant Background Check System. This shooting was preventable. In 2013, Aaron Alexis committed a mass shooting at the Navy Yard in Washington D.C. he had a history of erratic behavior, which if properly reported, would have stripped him of his clearance, barring him access to the facility. As for assault-style, that’s a political term for scary gun. It’s left wing, anti-gun jargon. Millions of Americans own AR-15s. There are millions of so-called high capacity magazines in circulation. Is Joe Scarborough anti-gun in the same way as say Everytown? Probably not, but he’s harping on two liberal anti-gun issues that will not stop future mass shootings.